Kids love to play in the sand. They also love building things with silly putty and play dough. 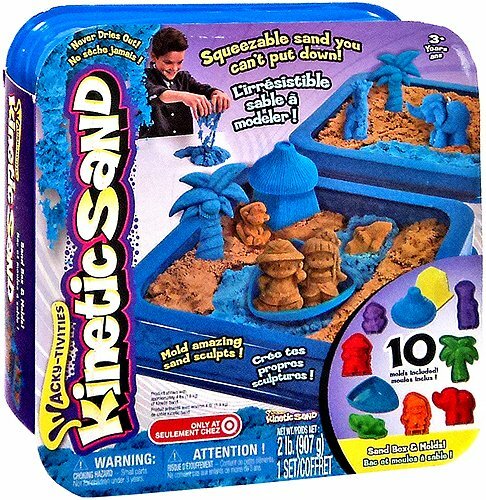 Kinetic sand products are a fun way to put all of these things together for hours of great imaginative play without having to go to the beach. 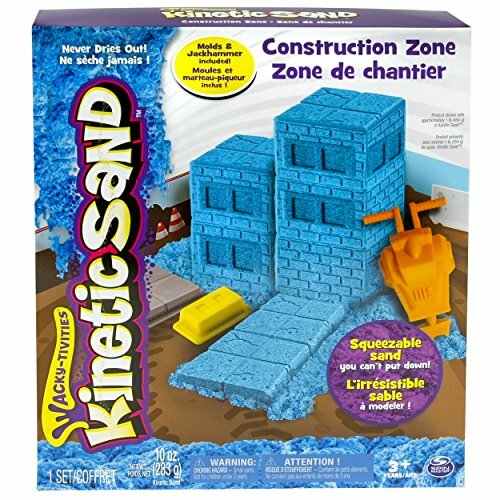 This is a great building toy for kids. 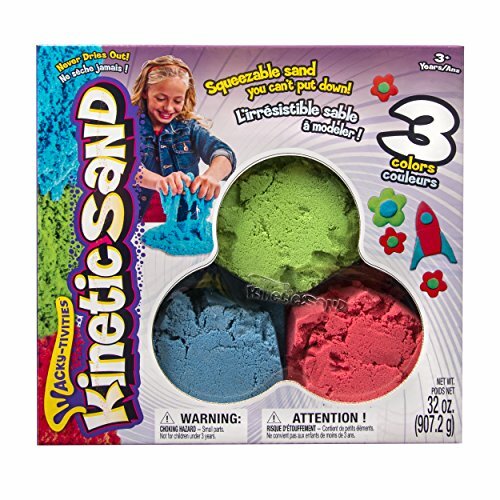 It is a mix of regular sand and a special polymer which becomes a non-toxic moldable sand like substance that can be used inside and out. 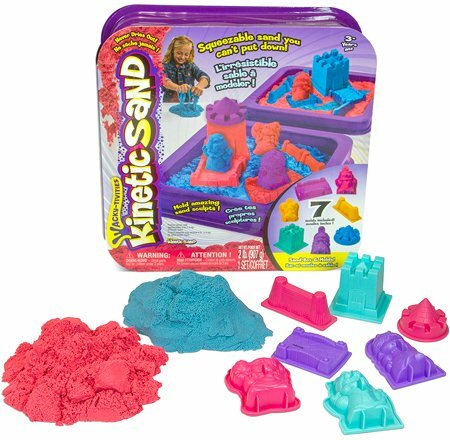 The texture of kinetic sand is soft and silky and unlike traditional everyday sand, it is a breeze to clean up because it sticks to itself. 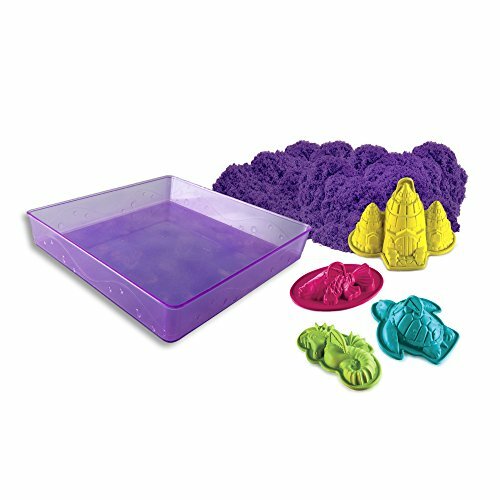 There are some really fun molding kits available below. Plenty of colors and activities to choose from. 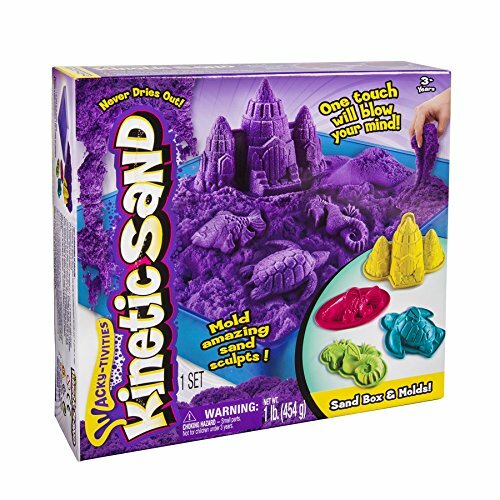 Kinetic sand is unlike any sand or molded texture that you have played with. 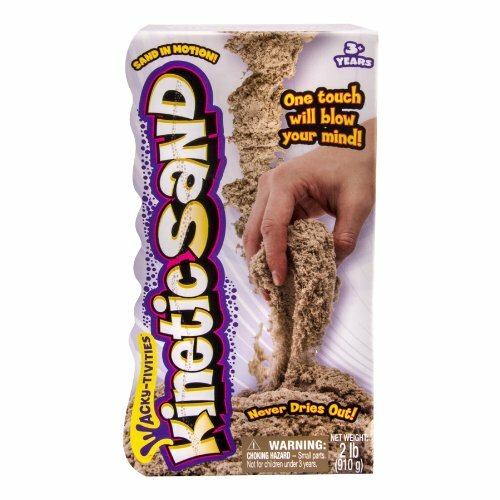 It never dries out and is non-toxic and allergen free. One of the best features is the easy clean up if it is used indoors. 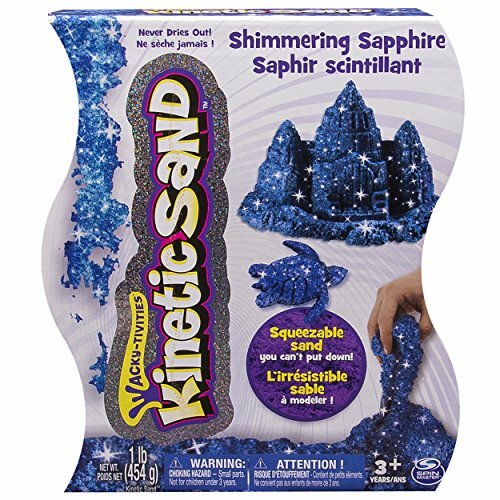 It won’t stick to carpets or your kids hands and can be vacuumed up easily.